This is so much fun! Each business is part of the #BuyLocalEastHarlem Family, and the Cash Mob’s spring up at random throughout the year inside the businesses on the East Harlem Community Alliance Merchant Membership list. 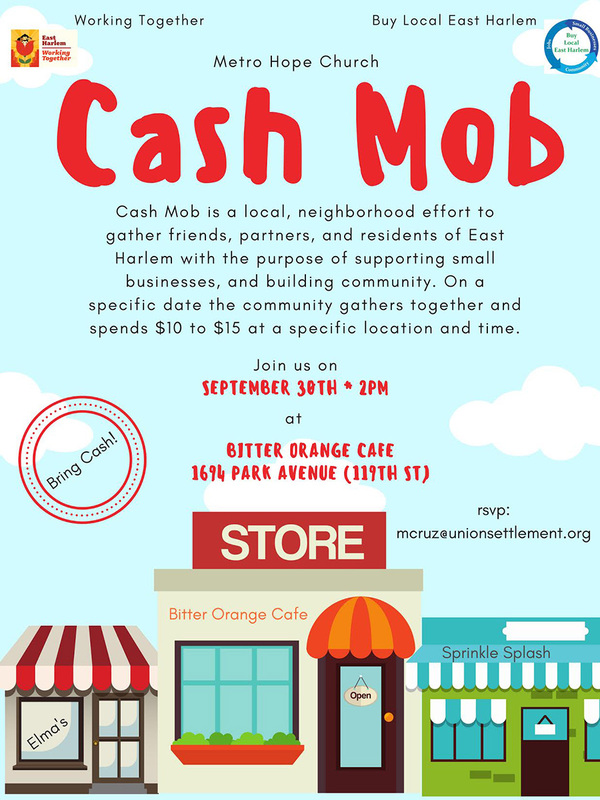 The next Cash Mob will be on September 30th at 2pm at Bitter Orange Cafe’, 1694 Park Avenue at 119th Street ~ Bring Cash! Are you a local East Harlem business? Contact mcruz@unionsettlement.org for the free membership details.